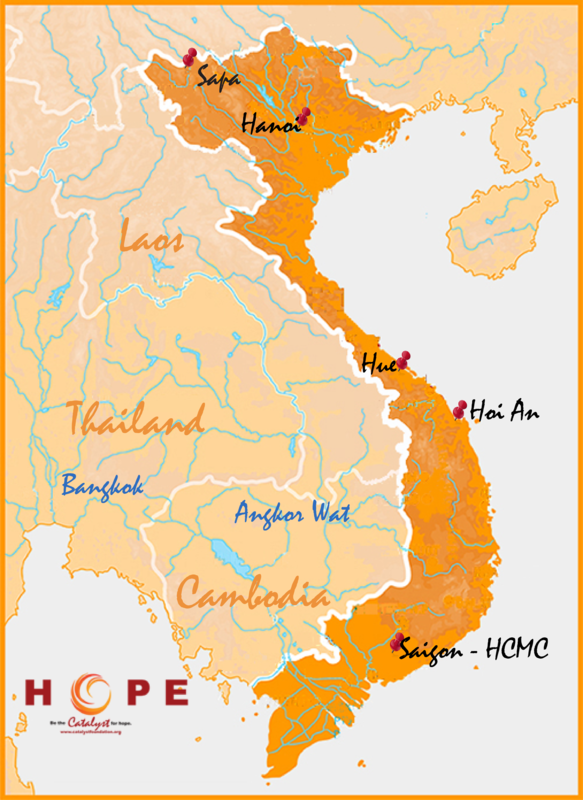 Catalyst Foundation is a humanitarian organization that helps build communities in Vietnam to fight human trafficking. Be the Catalyst for HOPE! Catalyst Foundation is currently working to build ethnic minority communities in rural Vietnam to fight human trafficking. Our story, the work we do, and our fight to stop trafficking was featured in three episodes of the CNN Freedom Project in February 2012. 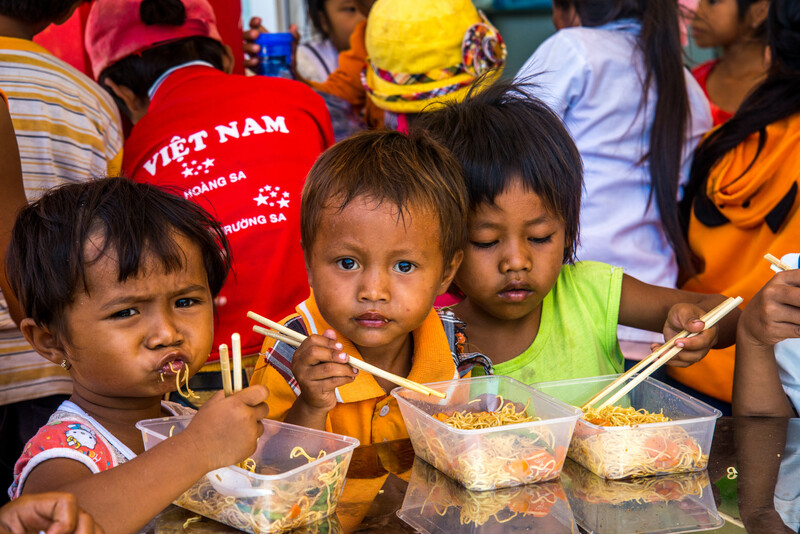 Catalyst Foundation was founded in 1999, focused on improving the lives of orphaned, abandoned, and homeless children in Vietnam. Today, using a holistic community development approach, we address some of the root causes of child trafficking including extreme poverty and are able to raise awareness, provide access to school and increase economic opportunities for over 200 children and their families. 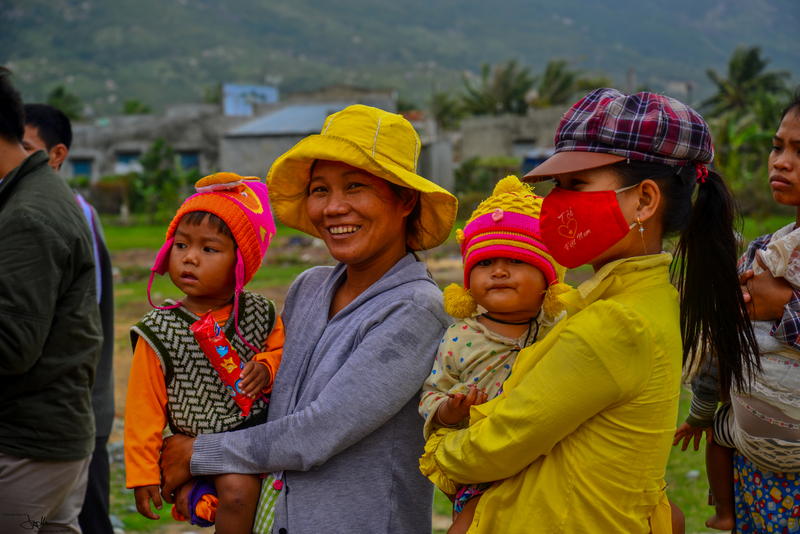 We coordinate rewarding and sustainable volunteer experiences during the Vietnam Aid Expedition, to work hands on with our community members in rural Vietnam. Catalyst Foundation sponsors an annual Vietnam Culture Camp and Vietnam Cultural Tour to promote Vietnamese culture to families that have adopted children from Vietnam. Participating families explore their child’s ethnic roots while sharing experiences with other adoptive families. There is no simple option to stop trafficking, so we work to prevent it. Catalyst Foundation utilizes a community driven holistic approach to protect the children by providing those basic needs we all take for granted: education and literacy, job, human rights and hope. The four facets of our community development programs are Primary Education, Community Education, Vocational Training, and Health & Nutrition. “Project Backpack” is our Primary Education program for children between the ages of 5 and 18 to attend school. Our families see education as an extravagance and their children work instead of attending school. The student sponsorship program provides a foundation of material and social resources that give our children the opportunity to attend school. Our Community Education program’s objective is to provide basic education to address the source of trafficking - extreme poverty. We provide families with access to social services (i.e. identity papers, assist and educate about household debt management, literacy classes). Our classes develop self-awareness and empathy to educate the community. The Vocational Training provides our teen and adults with the opportunity to develop financial self-reliance. Our community has no real employment opportunities and must contribute by doing what they can. Our objective is to convert the skills to new jobs and income. Our Health & Nutrition program is consistently providing enough food from the community garden and food distribution for each family every month, health and hygiene education, and quality medical care. We also work to implement a multi-phase plan to improve access to water and provide proper sanitation. Ms. Caroline Nguyen Ticarro is a prominent figure in the non-profit sector. Caroline’s passion and work is tireless. 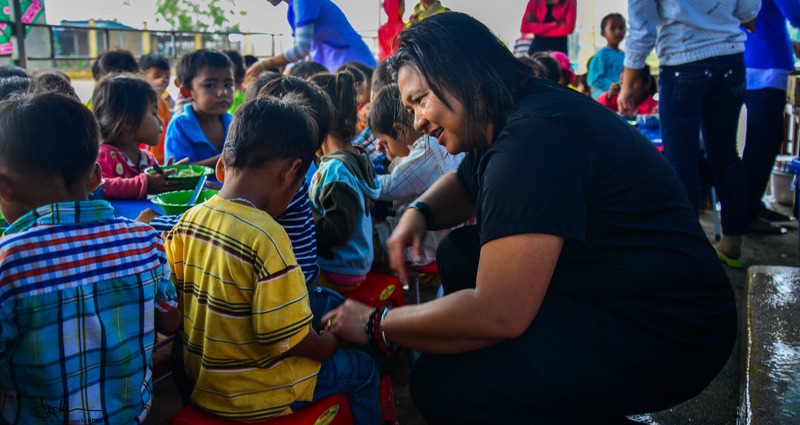 She travels often to Vietnam to direct the mission and vision of Catalyst Foundation. In 2012, her work and passion were featured in a 3-part series on CNN and also presented in her TEDxTalk in 2017. Caroline is available to speak to your school, organization, conference or seminar. She is an accomplished speaker on a variety of topics, including international adoption, gender equity, international development, and human trafficking. Download Caroline’s speaker profile here. For speaking inquiries please contact caroline@catalystfoundation.org. Catalyst Foundation’s Vietnam Culture Camp strives to ensure the children in our community are proud of their identity and heritage. We help our families to develop greater multicultural awareness through a variety of workshops and activities. We try to inspire all to strengthen their own communities and to be a catalyst for HOPE. Adult workshops emphasizing history, identity, cultural differences and similarities, and adoption issues assist participants to recognize and manage the concerns facing adoptive families and the communities they live in. Children (Pre-K through 5th grade) activities provide a unique opportunity to learn about the Vietnamese language, customs, art, and music of the cultures that are inherently part of their family’s life. Our “Youth Leadership Program” for all middle school and high school students is focused on challenging discussions and activities. Our goal is to empower young students to learn valuable leadership skills to be the “catalyst” for positive change. Since 2001, over 2800 families from all across the country (and Canada, Ireland, and England) have participated in the Vietnam Culture Camp. We hope you can join the fun! Catalyst Foundation’s “Vietnam Cultural Tour” is a homeland travel program for families with children adopted from Vietnam. As an extension of the Catalyst Foundation Vietnam Culture Camp, we are proud to offer this opportunity to your family. As with the Culture Camp, our goals are to build self-esteem and establish an appreciation of the Vietnamese culture through the ultimate in interactive experiences. This is a travel program that will allow each participant to see, smell, taste, and feel all that Vietnam has to offer. Changing the World One Dinner at a Time. Dining for Women is a non-profit giving circle dedicated to empowering women and girls living in extreme poverty. We are honored to have been chosen as one of the Sustained Grantee for 2019-2021. Socola Chocolates are handcrafted artisanal confections with modern flavors and a fantastic taste of fun! Feast your eyes on The Catalyst Collection, 10% of sales is donated back to support our Community Development programs. Be the Catalyst for HOPE!